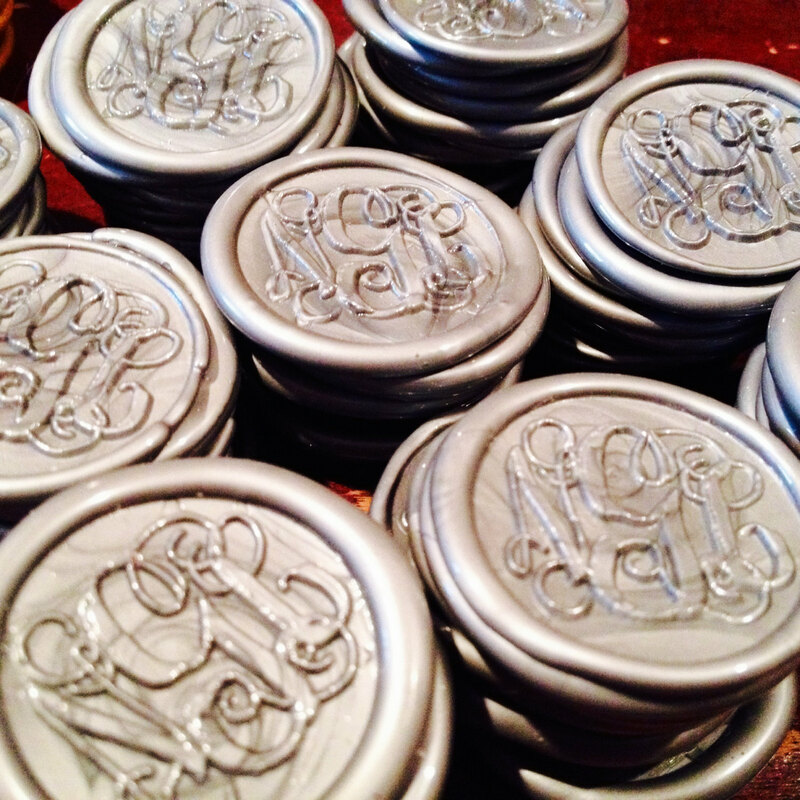 Peal and Stick Monogram Wax Seals are handmade and designed with your monogram. They are easily applied to any envelope or surface. Made by hand, the size of each varies between the size of a nickel to a quarter. Quantity Choose an option50 Monogram Seals - $105.0075 Monogram Seals - $120.00100 Monogram Seals - $135.00125 Monogram Seals - $150.00150 Monogram Seals - $165.00175 Monogram Seals - $180.00200 Monogram Seals - $195.00225 Monogram Seals - $210.00250 Monogram Seals - $225.00275 Monogram Seals - $240.00300 Monogram Seals - $255.00. 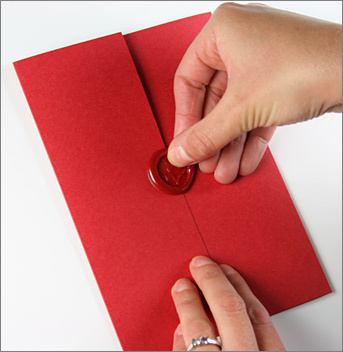 Peal and stick Wax Seals are handmade and designed with your monogram. They are easily applied to any envelope or surface. Made by hand, the size of each varies between the size of a nickel to a quarter. Ships within 1 to 2 weeks. This time frame is subject to change and may fluctuate for custom/from scratch orders and/or during busier times/holidays. RUSH orders may be available for an additional cost. Your custom made brass seal and it's wooden handle, will be shipped as a keep sake. 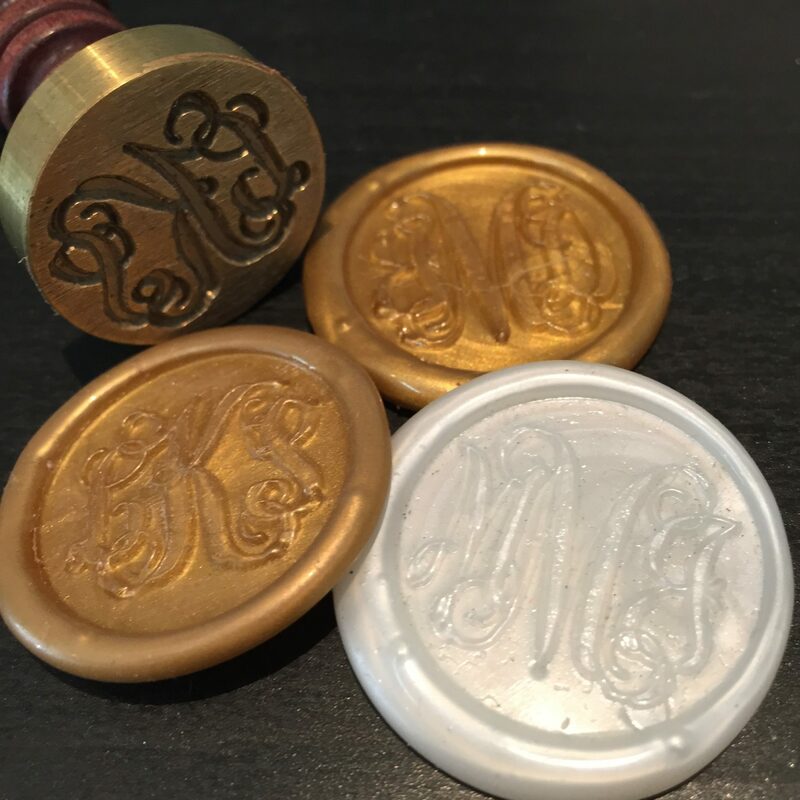 The keepsake seal may be mailed back when reordering from our standard seal options. 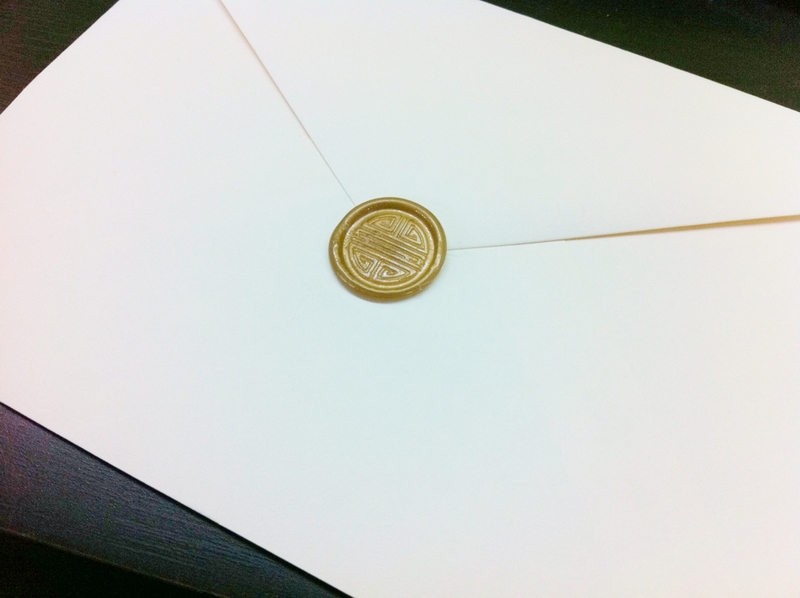 Simply note that you will be providing the seal for your order. 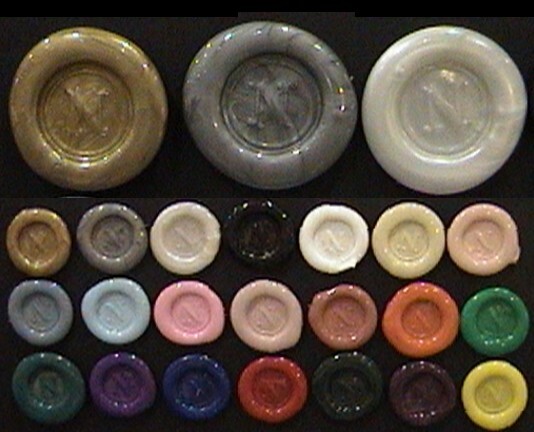 50 Monogram Seals – $105.00, 75 Monogram Seals – $120.00, 100 Monogram Seals – $135.00, 125 Monogram Seals – $150.00, 150 Monogram Seals – $165.00, 175 Monogram Seals – $180.00, 200 Monogram Seals – $195.00, 225 Monogram Seals – $210.00, 250 Monogram Seals – $225.00, 275 Monogram Seals – $240.00, 300 Monogram Seals – $255.00, .